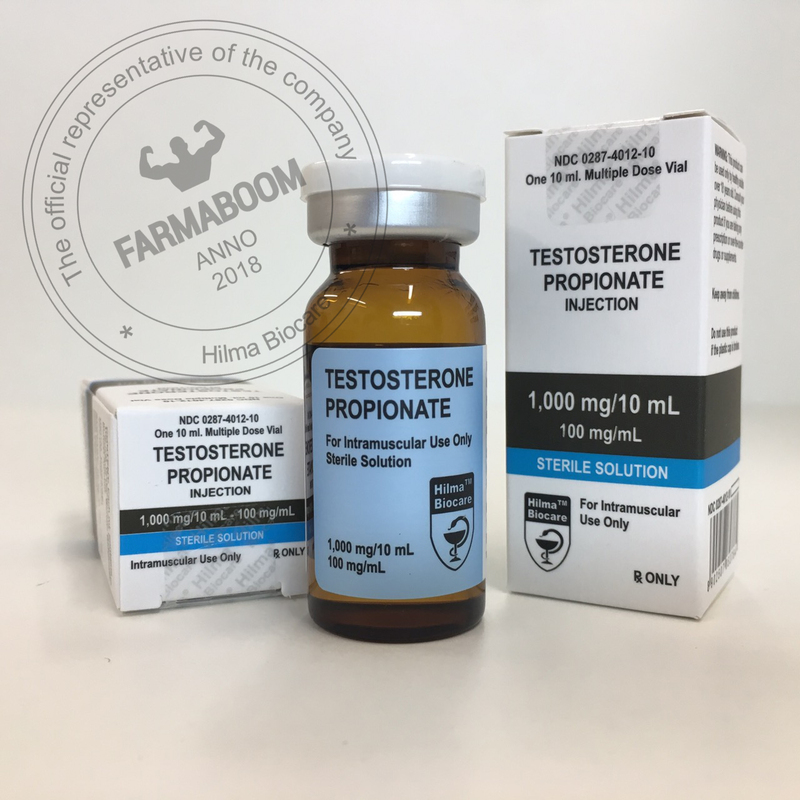 TESTOSTERONE PROPIONATE is an oil based solution of testosterone propionate for IM injection designed to reach peak testosterone serum levels within 24 hours of IM administration and remain elevated for 2 to 3 days. Testosterone propionate 100 is suitable for the treatment of hypogonadism and other disorders related to androgen deficiency. 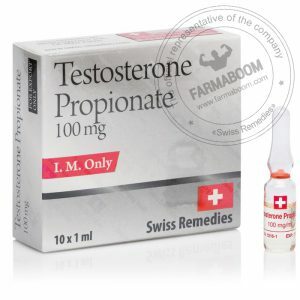 Testosterone Propionate 100 has both anabolic and androgenic effects. Testosterone supplementation has been demonstrated to increase strength and growth of new muscle tissue, frequently with increases in libido. CAS number: 57-85-2. Dosation: 1000mg/10ml. The package has been changed. Due to Testosterone Propionate possessing a brief active-life of 2-3 days, many athletes involved in tested competitions liked the stuff…a lot. Testing is usually based upon testosterone Epitestosterone levels. Though most individuals have a much lower ratio, athletes can have natural ratios of up to 6:1. This is considered a negative test for steroids… usually. By injecting Propionate up to 36 hours before competition, plasma Testosterone levels remained elevated while urine concentrations usually fell within the 6:1 levels. Of course IOC testing protocols would detect any plant origin AAS today. But several groups still simply test for the ratio only. Testosterone Propionate is considered a fast acting testosterone due to effects beginning in about 1 day. The drug reportedly has all the benefits of other testosterones (quick strength and muscle mass increases, increased training aggressiveness, fast post-training recovery) but caused a distinctly lower level of water retention. Users noted an improved muscle pump and increased appetite after one to two days of administration. Even with a high rate of aromatization, propionate did not cause gyno as often as other testosterone esters. Users who realize this normally did so due to less frequent injections: Not due to some special quality of the drug. I liked propionate because an increase in IGF-1 was common during liver deactivation. Also because use could be discontinued at the first sign of overt side effects (thus allowing the chemical to no longer be the cause after 2-3 days post-discontinuance). A high quality muscle gain has been achieved with 50-100mg Testosterone propionate every 1-2 days, 50mg Winstrol Depot every 2nd day, and 20-25mg of Oxandrolone daily. If Parabolan (76mg every other day) was substituted for Winstrol and Proviron is utilized as an anti-estrogen, this became an excellent pre-contest cycle providing superior hardness. Those who had used Primobolan only and no longer made progress at 200-400 mg weekly made consider progress by stacking 200-400mg Primobolan Depot weekly with 50-100mg of Testosterone Propionate every second day. Improved vascularity was common due to increased in red blood cell count as well. 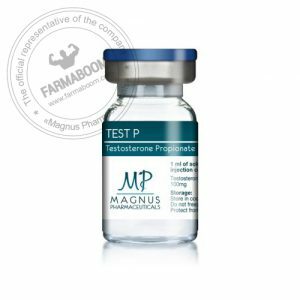 Women who did use testosterones considered propionate to be the superior choice over any other. 25-50mg of Propionate every 5-7 days stacked with any high anabolic such as Anadur, or especially Durabolin caused a dramatic result with less virilizing characteristics. As always, women who are extremely sensitive to androgens reported the use of 1mg Finasteride daily lowered DHT conversion of Propionate.